New York à la Keiko: Daily show! Yes! We attended another taping of the Daily Show on Monday with guest star Jeff Garlin. It was loads of fun like the first time! Except this time, we were there with some friends who are also fans of the show which makes it even better! We got in line at around 1:40 p.m., got our tickets at 2:40 p.m., went to Totto Ramen (no wait time! ), got a delicious cup of almond milk chai from Kahve and then back to the Daily Show building to join our friends who picked up the tickets we put on hold for them. Taking a day off to enjoy New York makes me happy. Returning to a four-day work week also makes me very happy! We didn't get to try the new Totto Ramen location (just a block away from the original location) since they were closed on Monday afternoons. 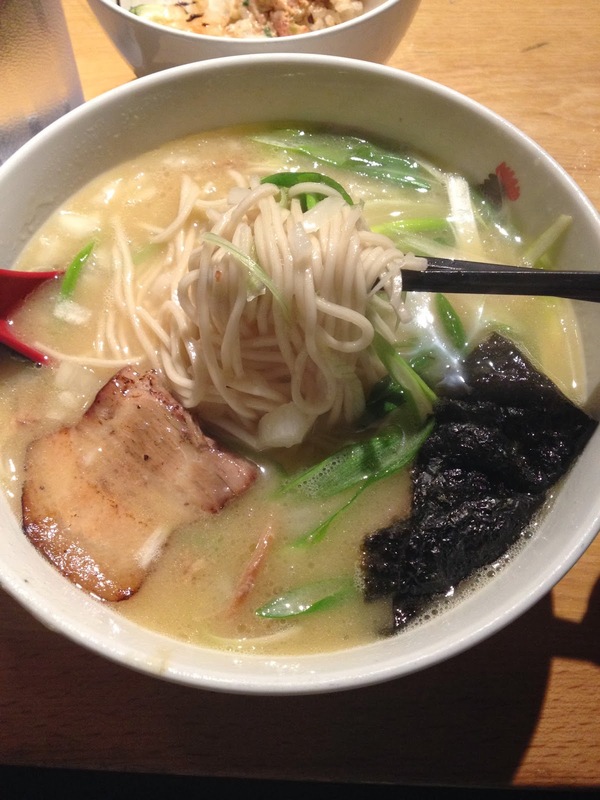 By the way, I had not been to Totto Ramen in a while since the last times I had been there, the broth had been extremely salty and not enjoyable. Today's broth was less salty and perfect on a chilly day except I think I lost my love for Totto as I have developed a palette for lighter and cleaner ramen broth. I still like their dons very much though.